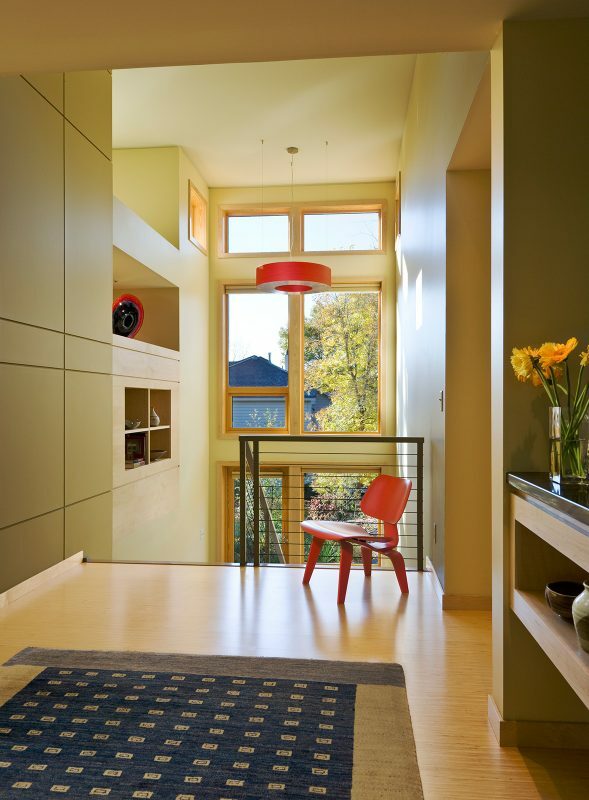 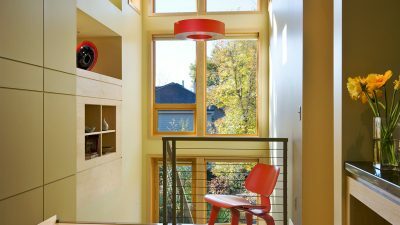 By nesting itself into the slope of the hillside, the home is able to encompass the main living spaces as well as the everyday garage on the main level. 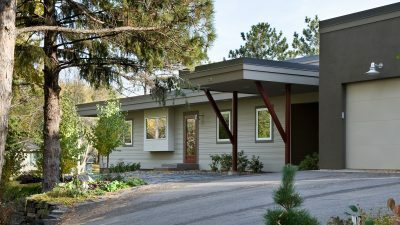 Tucked under the main level and into the hillside are additional living spaces, storage, a recreational garage and a spacious workshop. 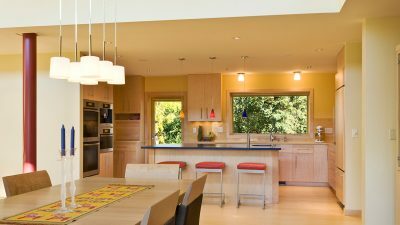 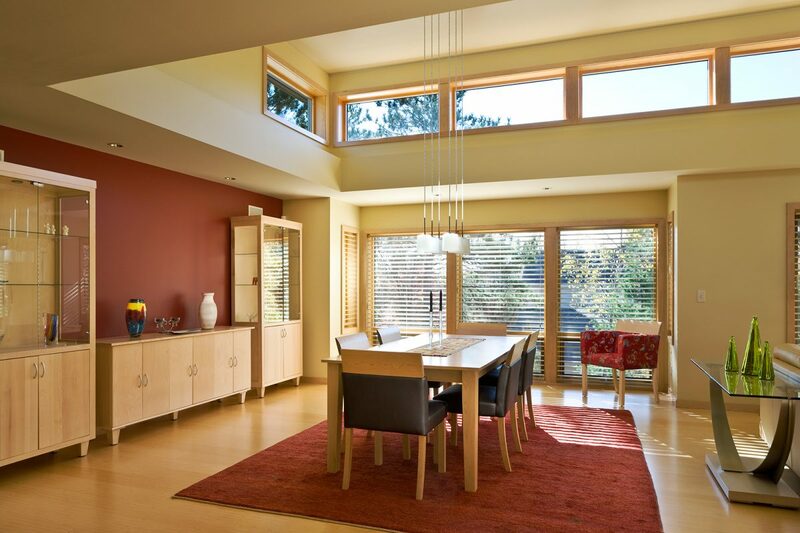 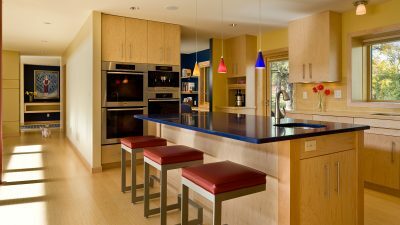 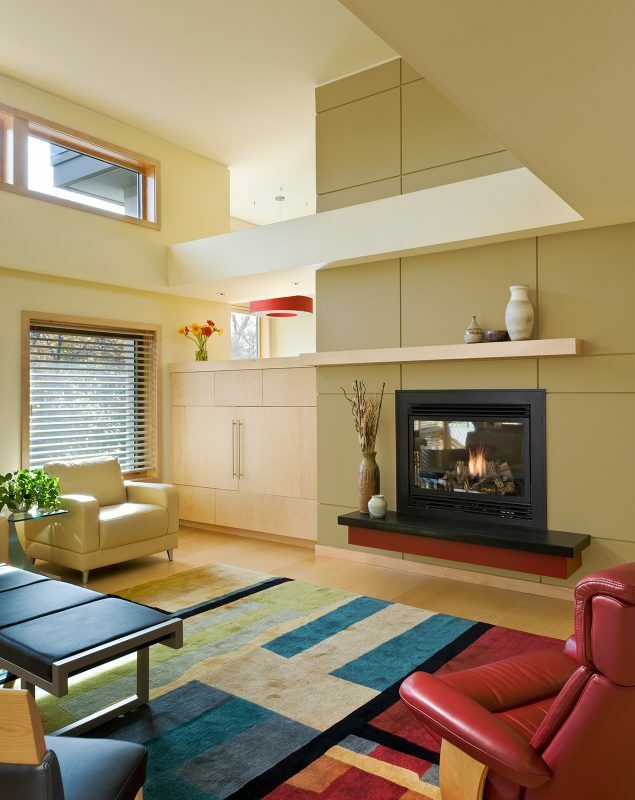 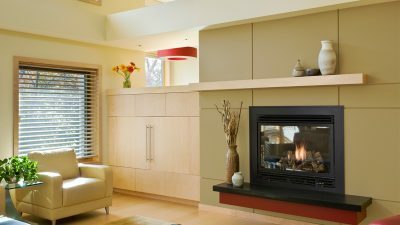 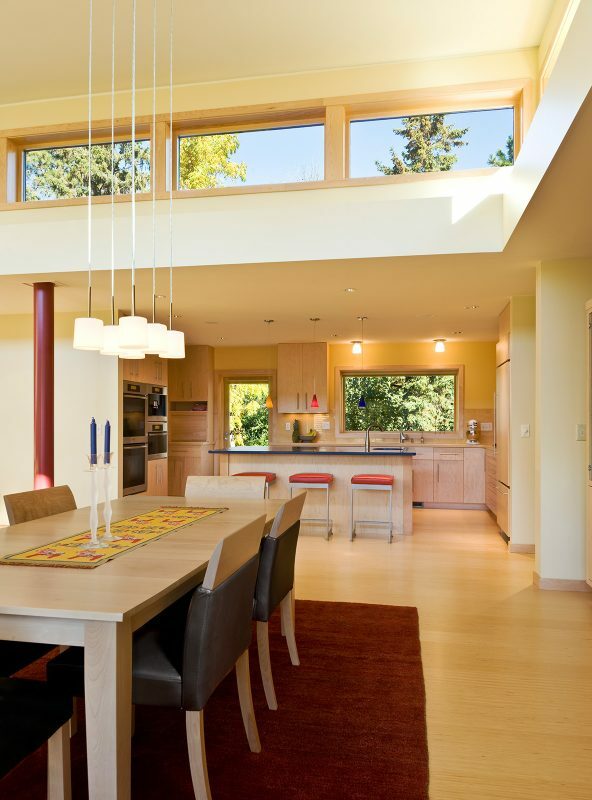 This layout also allows for the main level to open up and take advantage of passive solar to help light and heat the house. 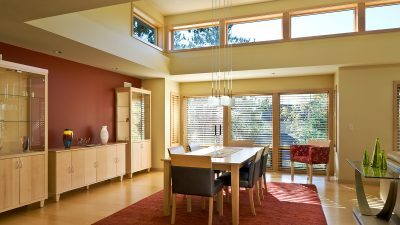 Clerestory windows, deep openings and large overhangs also help to mitigate the sun so that the house is never too bright or too warm. 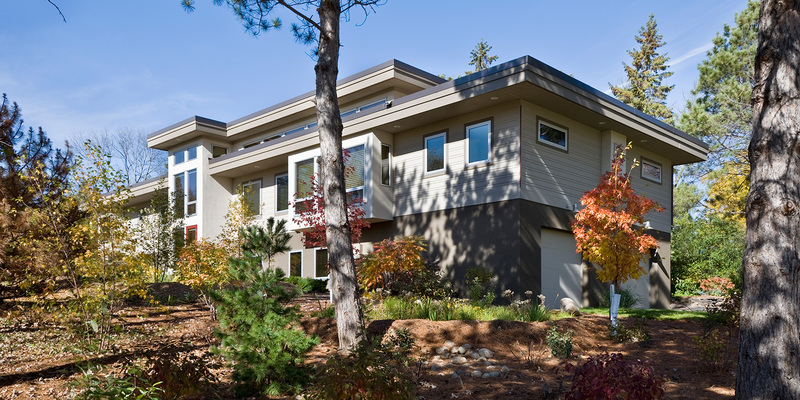 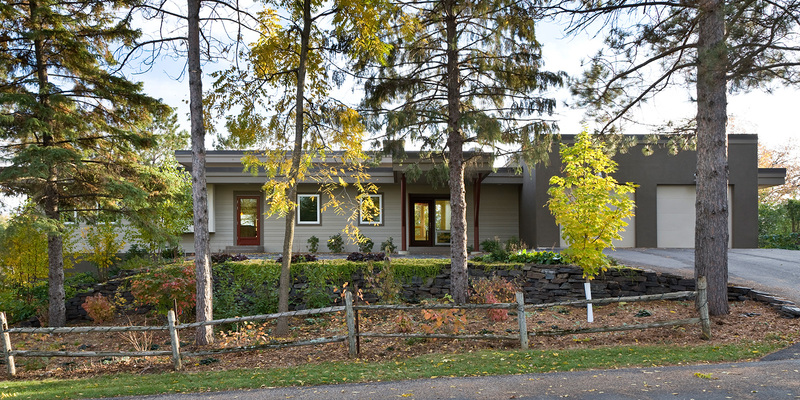 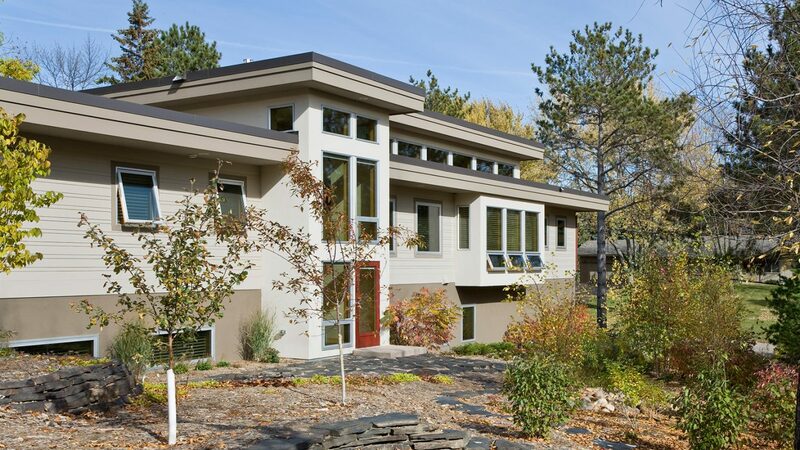 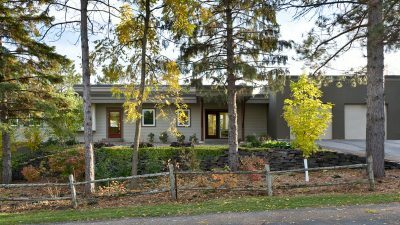 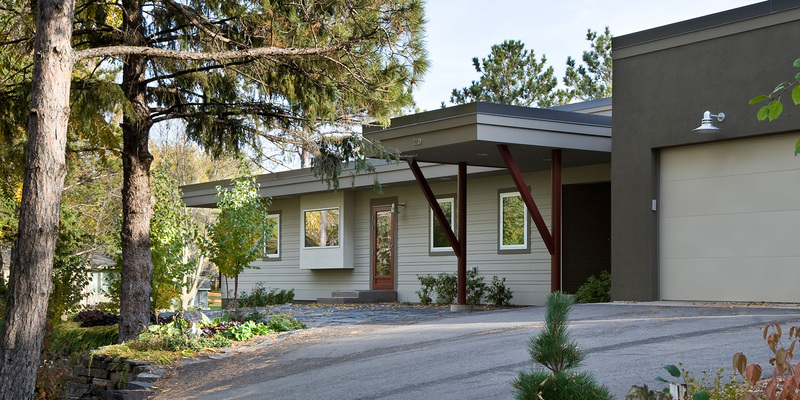 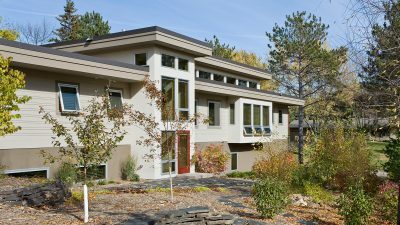 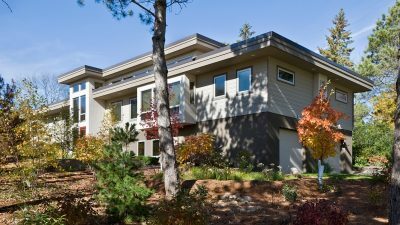 Other sustainable aspects of the home include super insulated foundation, wall and roof systems, a geothermal heat pump, on-demand hot water, an eco-paved driveway and a rain garden made of native plants to help minimize water runoff from the site.